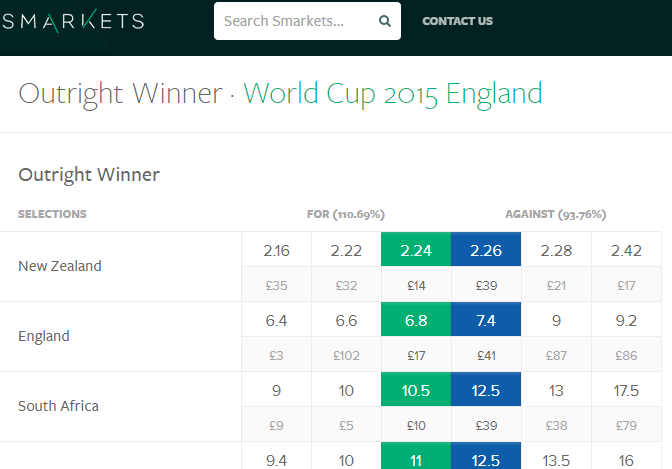 With the 2016 World cup fully in swing, where can you get the best odds on England matches. The answer is simple, use a betting exchange. Betting exchanges provide a market place for punters to match up bets, rather than odds being quoted by a traditional bookie. Because of this the odds are much better and you can win more money – the aim of the game. It’s also just as easier, if not easier in some cases to navigate the online platforms. Smarkets betting exchange offers can excellent clear betting platform, they have the best odds out of the online betting exchanges, plus the lowest commission, only 2% (only on winning bets). Plus, you get a free £10 bet when you sign up. Here is a quick exchange showing quite clearly why you can win more by getting better odds on the 2016 world cup by betting with a betting exchange. In this example we’ll look at betting on England to be the overall winner of the 2016 Rugby World Cup. So by simply switching you’re betting to a betting exchange like Smarkets you can win an extra £179.81 on exactly the same bet. This is why betting exchanges are places the smart punters place bets and make money. If you want to read up on the best betting exchanges (there are actually only three – Betfair, BetDaq and Smarkets) you can view our betting exchange comparison tables here. Or if you are feeling explorative you can compare all the traditional bookie prices against betting exchanges prices by looking at the top ten bookies in the UK here. With a betting exchange you can also pretend you are a bookie and lay bets. So you can bet on a team losing. Another fun way to bet on the 2016 Rugby World Cup is through Spread betting. There are only two, Spreadex and Sporting Index. Both offer some really obscure markets where the real money can be made and there are good sign up bonuses for opening a new account. 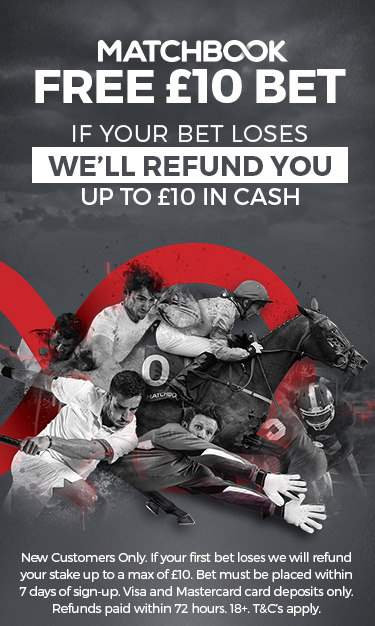 Sporting Index will give you a £100 no deposit (keep the profits) bet when you open an account. Both sports spread betting bookies are regulated by the FCA, have been around ages and are well respected in the business.